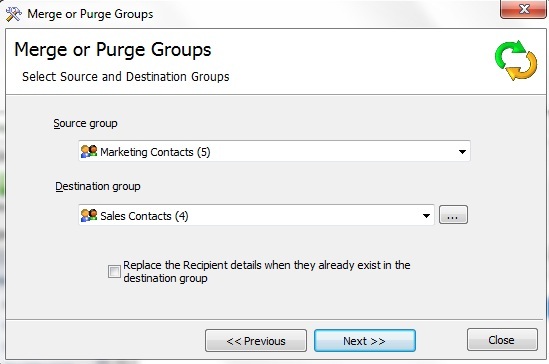 You can merge (or purge) your email groups with GroupMail’s Merge and Purge feature. 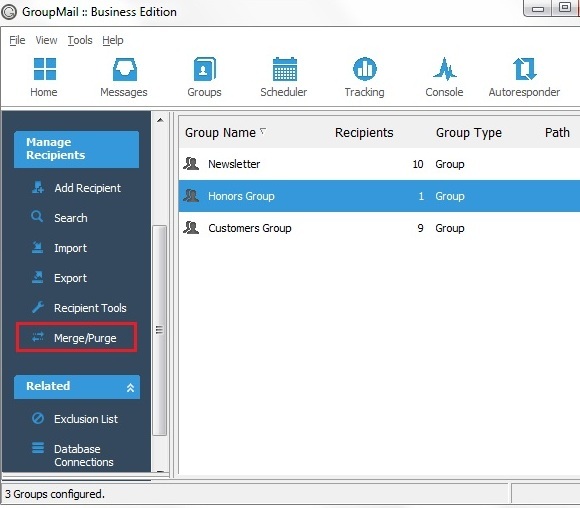 To merge email groups into a master email list, click on the� Merge or Purge link from the navigation panel on the left-hand side of the Groups Screen OR by right-clicking a group and selecting Merge. 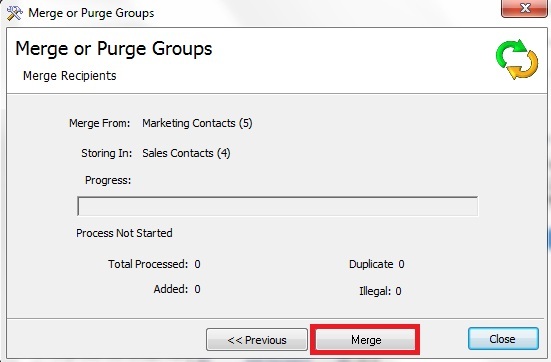 On the Merge or Purge Groups screen, select “Merge groups together”.� Merging allows you to combine two groups together. When merging email groups together, all duplicate records are ignored. To continue, choose the� Source Group� (moving records from here) and� Destination Group� (adding records to here) from the drop-down list of email groups available. For example, if the� Source email group contained records for� email,� first name and� last name and the� Destination email group contained only email addresses; then the the additional fields (first name and last name) from the� Source group would be added to the� Destination group that the records were being merged into. 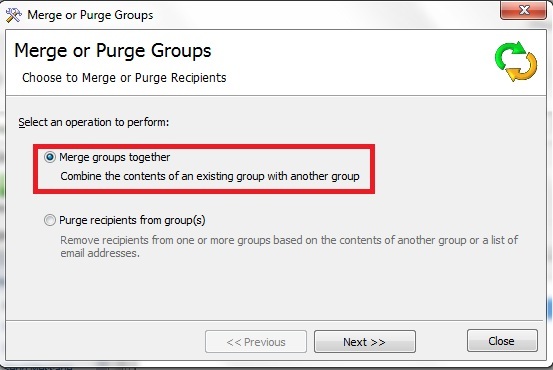 * Please note that you can only merge two email groups together at a time. If the Source and Destination groups have different fields, then you will be asked to map the fields so they are all speaking the same language. Note: If both email groups have the same field name structure, you will not see this step. After mapping the fields, click Next. Finally, press the� Merge button to beging the merge process. 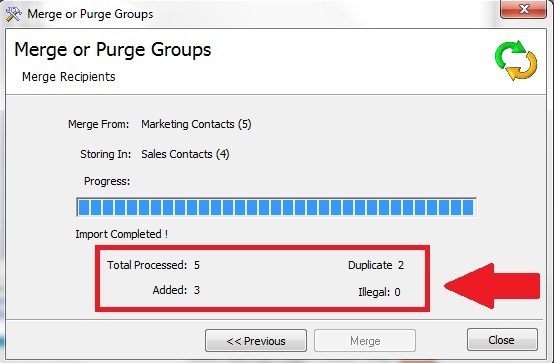 When the merge is complete, you will see how many total records were Processed, how many records were Added to the destination email group, how many Duplicates there were and how many Illegal records were found. * Illegal normally means a record that did not contain an email address or a blank record. Interested? Merge on over to GroupMail.